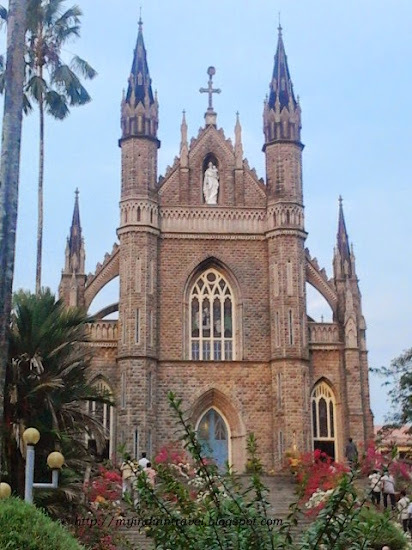 St. Joseph’s Pontifical Seminary at Aluva is a major seminary of the Syro-Malabar Church of the St. Thomas Christians. The seminary has a cemetery that is a nice sturdy structure. This is a huge chapel which has been painted white in the interiors. The church has beautiful and colrful stained glass windows. One of the colorful glass winow has Aeterni Sacerdotii on display. X'mas is celebrated with great fan fare here. The seminary is a beautiful building and I love the stained glass windows. Great photos, thanks for sharing. I've always admired stained glass windows. These are lovely! I find churches very peaceful and beautiful. This is a lovely Church. This church looks really pretty. The stained glass windows are lovely. What a lovely church. Where exactly is Aluva? 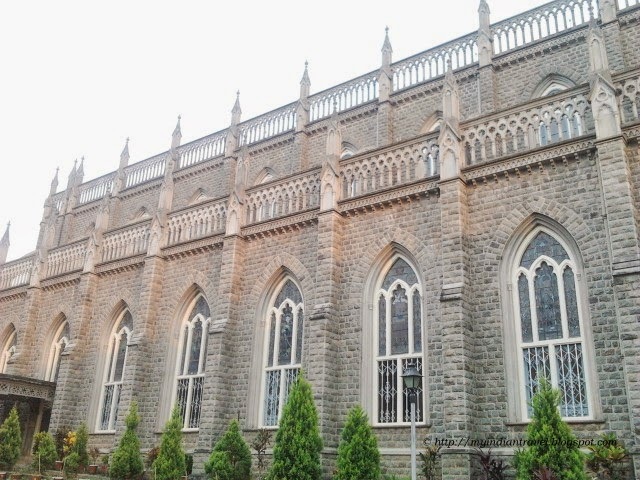 The interior of the church looks like the one we have in our churches but the exterior is quite different, it resembles the churches in Europe. Captivating photos! a must visit when in that place. I love the peace in religious buildings, especially old churches and temples. Nicely presented. Yes, wonderful photos, I really like the beauty of this great church! Such a British looking church. It is very impressive and your photos show it off well! I'm always amazed at how much money and work goes into religious structures all over the world. What a beautiful building! Great shots. It looks like a cathedral.Thanks for showing! It must be a very moving service there at Xmas. what proportion are Christians in India. 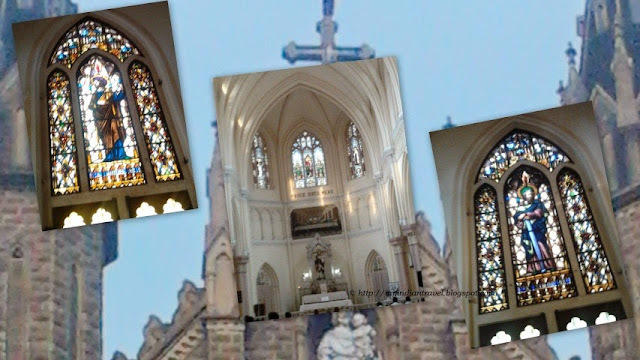 Great pics of a grand church! The church certainly looks beautiful. You've given me another addition to my bucket list. Great pictures. Pious atmosphere. Thanks for sharing.